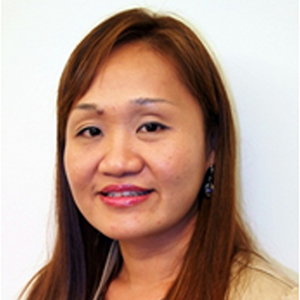 Yvonne is the Founder and Managing Direct of ANBIZ Sdn Bhd, and has over 18 years of experience in Customer Relationship Management. Her experience in Customer Relationship Management stems from years of strategic CRM planning, roadmap development, operational processes, and system development, across multiple industry sectors, such as banking, FMCG, government sectors, logistics, trading and distribution, telecommunications, and many more. Yvonne has developed ANBIZ from a reseller of CRM solutions, to a company that owns its own CRM solutions and is comparable with other top tiered CRM solutions in the market. After 10 years of establishment, ANBIZ’s CRM solution is being used by more than 20,000 users across multiple geographical locations in Southeast Asia. ANBIZ’s CRM solution is a comprehensive operational and analytical CRM platform that covers the entire spectrum of a customer’s experience. Under her leadership, ANBIZ have continuously been in the forefront of technology solutions offering, with their latest product addition being a Gamification solution. Despite being a relative new concept in Malaysia, Gamification solutions has been making headlines around the world for their cutting-edge approach in resolving the challenges that companies face when it comes to their customers and employees. Seeing the potential that Gamification has to offer, Yvonne decided to incorporate Gamification solutions into her strategies and softwares in order to cater to the growing requirements of companies in Malaysia. Yvonne is also often invited as a speaker in the Contact Center industry, Human Resource industry, CRM Industry, and many more others for her experience and exposure in the innovative Gamification solutions. She is also the Deputy President for the Contact Center Association of Malaysia. Service Specialist in General Electric Inc.